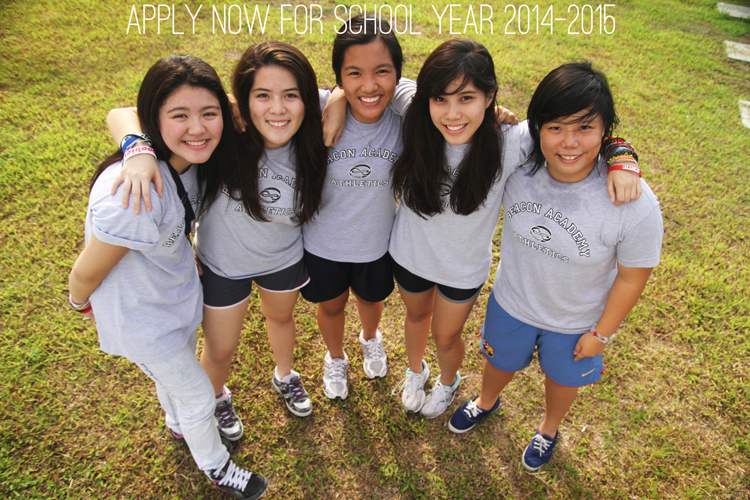 Applications for SY 2014-2015 now being accepted! Click on this link to learn more about our admissions process. The Beacon Academy is happy to announce that applications for school year 2014 to 2015 are now being accepted. We invite interested students and parents to book a tour of our green campus, talk to our faculty, and even sit in a class with our bright students.